Ireland has one of the highest prevalence of cocaine use in Europe. A SURGE IN the supply of high-purity cocaine to Europe has meant an increase in violence and drug-related homicides, as the use of new technologies ”uberise” the cocaine trade, according to a new report. The EU drugs agency report indicates that Ireland has one of the highest prevalence of cocaine use in Europe, along with Denmark, the Netherlands, Spain and the UK. The report found that use of “novel” technologies such as encrypted communication apps, the darknet, social media, and cryptocurrencies have played an important role in enabling smaller gangs and “entrepreneurs” to engage with cocaine dealing, with a perceived less risk. signs of a competitive market in which sellers have to promote additional services beyond the product itself, such as fast delivery anywhere at any time,” the report said. The faster, any time, any place delivery services have changed the nature of cocaine dealing, as social media is used to promote cocaine and other drugs with “the aim of reaching as many potential consumers as possible – keeping prices lower too. The smaller organised European crime gangs operating in local markets, as opposed to larger structured crime syndicates, has caused cocaine to become a modern-day commodity. The involvement of European crime gangs has meant new entry points into Europe have emerged. Traditional trafficking hubs such in Spain, the Netherlands, and Italy are helped by ports and airports in France, Belgium and Germany, but the report states that this may just be the “tip of the iceberg”. Antwerp was reported to be the biggest entry point for cocaine, as information on seizures outside EU showed that 36 tonnes of cocaine in consignments which were intercepted in transit ports in Latin America in 2016 had the Belgian city as their final destination. 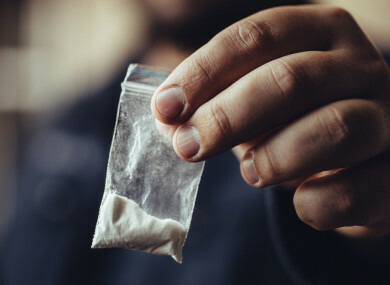 According to the report, the increased preference in cocaine stems from the availability of high-purity cocaine and the normalisation of the drug in certain young populations in Europe who have an increased disposable income. The available data from hospital emergency presentations reveal that it is primarily a young population of cocaine users that appears in emergency rooms at weekends, with similar temporal spikes in cocaine use at weekends to those observed in wastewater data. The report has warned that normalisation and misunderstanding of the harms caused by cocaine, may have negative repercussions. Reports from France indicate that an erroneous distinction is being made in some subgroups between base cocaine (‘freebase’) and crack, with the potential for users to underestimate the risks associated with this more dangerous form of cocaine use. The EU drug agency report has warned that the fragmentation of the cocaine trade in Europe appears to have resulted in increased competition resulting in an increase in violence and drug-related homicides in a number of European countries. Email “Surge in cocaine supply in Europe as gangs 'uberise' the trade through social media ”. Feedback on “Surge in cocaine supply in Europe as gangs 'uberise' the trade through social media ”.